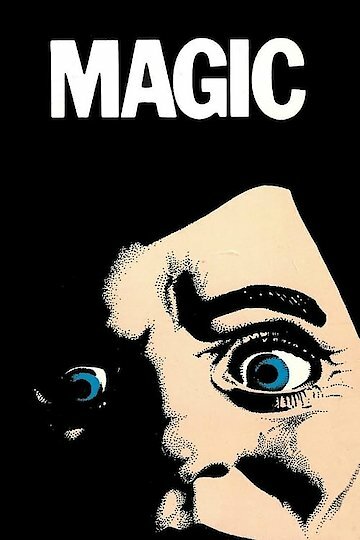 "Magic" (1978) is an American psychological horror film. The main character is a stage magician and ventriloquist whose dummy has come to life and developed an evil mind of its own. It is also extremely possessive of the magician and tries to kill anybody who gets too close to him, be they a girl friend or colleague. Magic is currently available to watch and stream, download, buy on demand at Shudder, Amazon online.